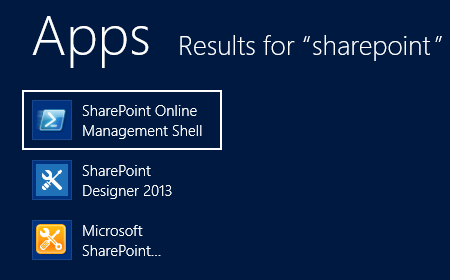 Getting PowerShell for SharePoint Online up and running is relatively easy, however, you might have to download a couple of things. And if you are new to PowerShell, you could be wondering what can you actually do once you have the SharePoint Online Management Shell installed? So here is a beginners guide on how to get things started on your local machine. 3) Run PowerShell, Windows PowerShell, the new SharePoint Online Management Shell or the Windows Integrated Scripting Environment (ISE). As seen in Figure 1, you can find your new Shell by searching for it. However which ever tool you decide to run, PowerShell, ISE or the Online Shell, you will need to run it as an Administrator. If you do not, you will receive an error, as seen in Figure 2. In my Windows 8 deployment, the module was automatically added, as seen in Figure 4. Figure 4: Using ISE, you can verify installation by looking in the Modules drop-down. One of the great features of running ISE is that users are able to see all the commands available to them. 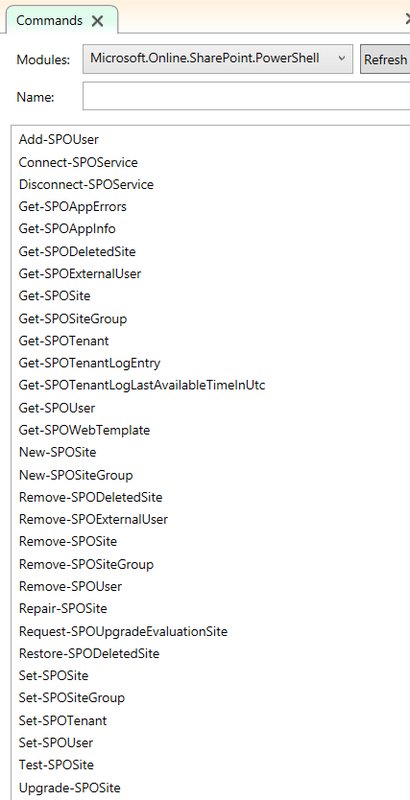 Figure 5 shows all of the commands (verb-noun) available for the Microsoft.Online.SharePoint.PowerShell module. 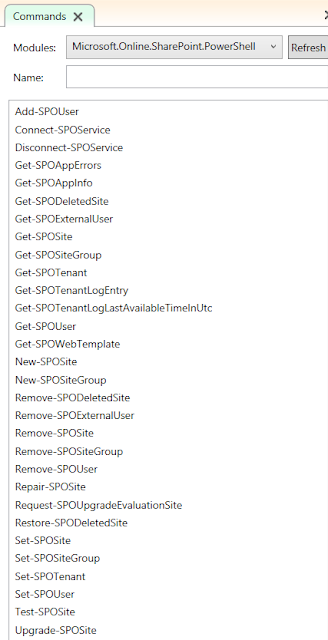 4) To be able to start using PowerShell online, you will need to connect to the admin site of your tenant. 5) Once you are connected, take it for a test drive! In Figure 6, you can see the results and some interesting accounts used by O365 to help manage your site. Figure 6: The returned results from the Get-SPOUser cmdlet. Another benefit of using ISE over just the Management Shell, is that the Commands tab within ISE will actually help me create my script by showing me the required and available parameters to fill out, as seen in Figure 7. Figure 7: ISE will show you the parameters available and will insert the command into the Script Pane. ISE also uses Intellisense, as seen in Figure 8. 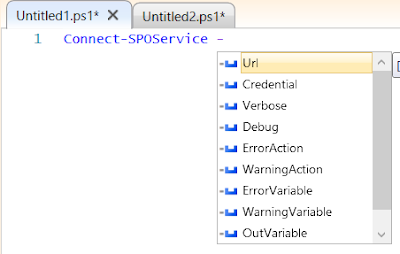 Figure 8: Shows the Intellisense parameters available for the Connect-SPOService cmdlet. 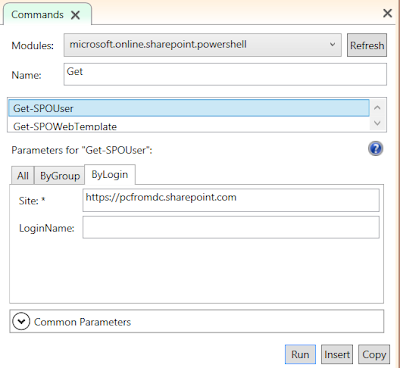 If you are still a bit timid to start writing your own commands, an excellent reference for helping you to create PowerShell commands, is Bill Baer's online Windows PowerShell for SharePoint Command Builder. You can download the instruction guide or you can go straight to the command builder website and start creating.